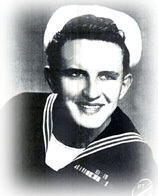 Karl Niedermeyer, Founder and Inventor, enlists in the U.S. Navy as an electrician. Soon after, he was stationed in the South Pacific and was assigned to floating dry dock duty. He used large pumps to raise ships out of the water in the middle of the ocean. This experience sparked his interest in pumps, generators and air compressors. "We were a dot in the South Pacific, but able to do so much because of the pumps." Karl's naval duties ended and he returned home to Wood Dale, IL. He began work in his father's motor shop repairing jet well pumps and upright sump pumps as well as, other types of pumping systems. He observed that much of the basement flooding home owners experienced was due to residential power failures. His first invention: the battery powered backup sump pump system. Trusty Warns Inc. is founded, creating a new industry. Trusty Warns begins to manufacture, sell, install and service its superior flood protection systems within the Chicago area. In the mid-70s, Trusty Warns switched from copper to stainless steel pump construction. Circuit boards were implemented, pumping capacity and battery life steadily improved. Commercial and specialty applications began to emerge. In 1982, the first solar-powered pump system was taken to the Middle East for deep well applications. Trusty Warns continues to manufacture superior emergency basement flood protection systems as well as, advancing pump technology for future applications. Copyright 2009 TrustyWarns Incorporated. All Rights Reserved.